Wow! So you are 5 months pregnant. Such news are always so exciting in the life of all women. Right from the time a couple plans a baby, and mother confirms the great news each and every day passes like a month. And finally when the news is broke with all relatives, friends and closed ones, time moves still slower in a snail’s pace. 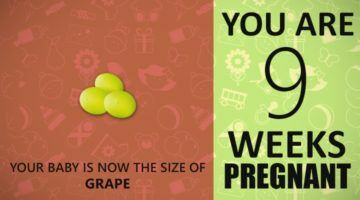 So ladies, you will need to become more health conscious as you reach your 5th month of pregnancy. You will need to eat healthy and ensure that your calories are coming from the right sources. You need to follow ideal fifth month pregnancy diet for the well being of both yourself and the baby. Mothers must make sure that they are consuming foods which are nutritious and healthy for the baby. In the fifth month of pregnancy, most moms start to show off their pregnancy bump and the pregnancy glow mostly appears on their skin. Many hormonal changes will take place during this fifth month of pregnancy. Everyone loves to excuse appetite of pregnant women by saying she is eating for two, but frankly that is not the case. During the fifth month of pregnancy, a foetus is approximately 8 to 10 inches tall and is about 300 to 450 gm. Doesn’t need the same amount of calories as an adult fully grown human. You must follow some basic rules during your fifth month of pregnancy diet chart. Follow month by month diet chart to make sure about the health and safety of you and of course your baby. Furthermore, during 5th month you require only 350 extra calories every day. Thus, try that you get these calories from calcium and protein sources rather than from fatty additives, simple carbohydrates and sugars. As you feel more hungry during 5th month so increase the frequency of eating. It is said that a pregnant woman’s plate should look like a rainbow. Take a different variety of food each time. Consume a hand full of nuts and dried fruits once, next time have a vegetable salad or a fruit bowl and so on. Here in this post we will be giving you suggestions of what to be included in your daily eating routine during the fifth month of pregnancy. Constipation is one of the common problems experienced during the fifth month of pregnancy so water intake becomes important. Stay hydrated by having extra fluids in your body at all times. Keep in mind you have responsibility of yourself and also your little munchkin now. Drinking a lot of water helps in avoiding constipation. Drink 6 to 8 glasses of water daily. Bladder infections can be prevented which are very common during pregnancy just by drinking enough water. Drinking water and fresh juices helps in detoxifying your body. Consume sugarcane juice and mango juice during 5th month since they provide ample amount of carbohydrates. This provides required strength to the pregnant women to carry the foetus and also during labour. Mango has high quantities of iron also. Furthermore, consume everyday at least 3 glasses of milk. Milk provides excellent source of calcium along with micro nutrients which are important for healthy bone development in babies. Avoid drinking alcohol and caffeinated drinks. Limit your coffee intake to two cups a day. Both the mother and the baby will need fluids so keep yourself well hydrated. Protein rich foods are considered as the best pregnancy food in fifth month pregnancy diet. These foods are very important for overall physical development of babies. Proteins have presence of amino acids which are referred to as the building blocks of human body. Baby’s skin, organs and muscles need protein for developing themselves and sustain. Chicken, cereals, nuts, pulses, eggs and seeds are full of proteins and should be included in the daily meal menu. Steamed chickpea, paneer, tofu and soya chunks are rich in protein. Whole grains are healthy as they have all three parts of the grain present intact – endosperm, germ and bran. There are so many options now a days to choose the whole grain food from. Which can fulfill your daily needs of breakfast, midday snacks, evening snacks, and also desserts. Whole grain foods are rich source of magnesium, iron, vitamin E, vitamin B complex etc. Choose your favorite food grain products from the range of whole grain foods like Ragi, corn, wheat, rice and oats. Breakfast cereals, pasta, bread, crackers, tortillas, muffins and what not! Throughout the 5th month pregnancy diet, you should start to incorporate a higher amount of calcium in your everyday menu to help your foetus develop strong and healthy teeth and skeletal system. Dried dates, prunes, figs, kiwi and mulberries are fruits, which have a good amount of calcium present. Include low-fat milk, milk products like cheese, paneer, yogurt, etc. in your daily menu. It is crucial to make sure that sufficient quantities of fibrous foods are included in your daily fifth month pregnancy diet to reduce the occurrence of constipation symptoms. Vegetables, Fruits, barley, wheat, oats, and nuts are rich in fiber content. If you follow vegetarian diet or if you don’t eat meat than you can get all the necessary proteins required from cereals and whole grains or nuts. A balanced vegetarian fifth month pregnancy diet that includes all of the above will take care of your protein needs. Variety and moderation are important in vegetarian diet. Start with a healthy habit of consuming a bowl of mixed greens by using fresh vegetables like romaine lettuce, carrots, tender rocket leaves, cabbage, crisp tomatoes and beetroot. Which will help to include essential minerals and fiber in your daily eating routine. Remember, it is not good to use salad dressing like capers, radish, and olives or pickled vegetables since they have high content of sodium. Fruits are full of minerals and vitamins and they taste yum as well. You can never get bored with consuming fruits. Since there are plenty of options that you can try for diet during pregnancy month by month. Fruits like avocados, apples, grapes, banana, pears, litchi, kiwis, oranges, berries, and cantaloupe to select from. You can also mix some fruits into fresh cream and yogurt for a healthier option in desert. Include lots of green leafy vegetables to your everyday menu. Spinach, broccoli, turnip leaves, fenugreek leaves, romaine lettuce, etc. are having vitamins and minerals. That are essential during the fifth month pregnancy diet. Eating more of green leafy vegetables tends to get boring. But for your little darling, do it. Include broccoli, fenugreek and spinach in your meals so that the iron requirement of body gets fulfilled. Try grilling or baking the veggies to give a different taste. You can also use spinach to make healthier varieties of smoothies. Now that you know the must have foods to include in your fifth month pregnancy diet there are certain foods that you should not include in your diet chart. Carbonated beverages contain high quantities of sugar, unhealthy calories and caffeine. Ensure that you don’t make wrong choices instead drink lemon juice or fresh fruit juices. Fruits like pomegranate, pineapple, papaya taste delicious but are believed to be responsible for triggering uterine contractions if consumed during pregnancy. They are full of fiber and nutrients and help in constipation but eating them at this time is definitely not a good idea. It can lead to serious consequences like miscarriage. Your gynecologist will ask you to stop drinking alcohol if you have the habit of indulging in a glass of your favorite alcoholic drink. You must quit drinking now because there is no amount which is safe to take while expecting. Drinking heavily when pregnant can lead to birth defects in your baby. But why take a risk since it can eventually harm your little darling. Smoking is another bad habit that can lead to physical abnormality and can also affect development in babies. Smoking can interfere with the respiratory system development and can also lead to disturbed heart beats. It hampers the oxygen supply and can lead to stillbirths or miscarriage. Caffeine is present in both coffee and tea. So, limit intake of tea or coffee to a maximum of 2 cups daily. Intake of more caffeinated beverages during fifth month of pregnancy causes restlessness and sleeplessness in babies post birth. Certainly, you will not want your baby to be cranky all the time after birth. Apart from coffee and tea, caffeine is also present in chocolates. 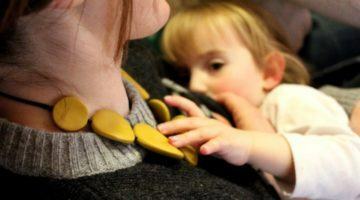 Resist your urge to indulge on chocolates because it is going to help your baby. We all have the habit of occasionally bunging on pizzas or fried foods. Don’t let it happen during pregnancy fifth month and even later. You will consume a lot of unhealthy calories which will be enough to put on more weight. Keep in mind, your body is also undergoing a lot of hormonal changes so it is better to stay away from fattening foods. Gaining weight leads to unwanted complications while you are undergoing gestation period. 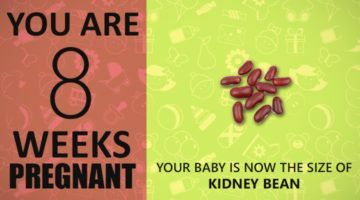 It is noticed that when a woman reaches in her fifth month of pregnancy, baby’s organs like heart, brain, liver, kidneys etc. have already started developing and have taken primary shape. Now they will grow and develop further. The skin will start to get thick and also the senses will start to develop. Make sure to take very good care of yourself. As you must keep in mind that you have tiny life breathing and growing inside you and you must nurture and also protect it. The foetus needs many nutrients to take ideal physical shape. Whereas on the other hand unhealthy habits and foods can hamper the development of baby. 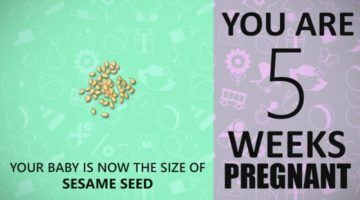 That’s why it is crucial to be aware of what to eat and what to avoid in fifth month pregnancy diet. 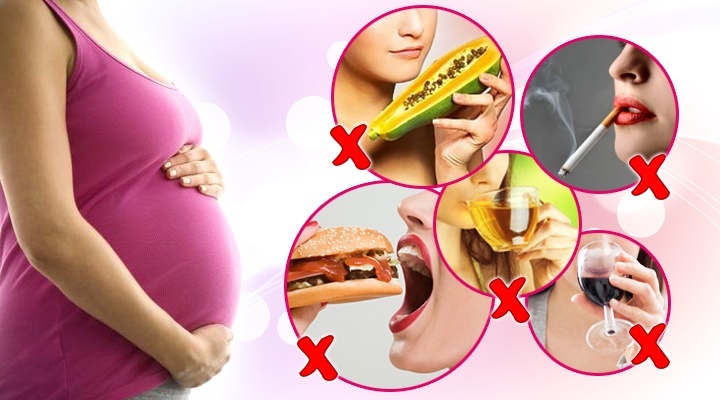 Follow the dos and don’ts mentioned above since they will surely help you to get through your fifth month of pregnancy. Remain stress free and enjoy your pregnancy experience. Consult your doctor about the ideal exercise and physical activity for you. Pregnancy care during fifth month includes choosing the right proportions of food to consume along with the plenty of other nutrients. Try to find out the nutritional content of the food that you eat and depending on that, work out on how much you will need to consume daily. You can take the help of informative websites, a nutritionist or your health care provider for this.